250,000 common shares of the Company issued on a “CEE flow-through” basis pursuant to the Income Tax Act (Canada) at a price of $0.10 per Flow-Through Share, for aggregate gross proceeds of $309,000. Each Unit consists of one Common Share and one Common Share purchase warrant. Each Warrant entitles the holder to acquire one Common Share at an exercise price of $0.15 per Warrant Share until 4:30 pm (Calgary time) on that date that is 24 months from the issuance closing date, subject to accelerated expiry, if the 20-day Volume Weighted Average Price of the Common Shares on the TSX Venture Exchange exceeds $0.20 per share. 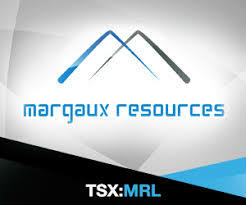 Margaux Resources Ltd. is a mineral acquisition and exploration Company focused on gold and zinc exploration in the Kootenay Arc, in the southeastern region of British Columbia, and directed by a group of highly successful Canadian business executives.